Online retailer Amazon announced Sunday that it is planning a new delivery service in which products would be delivered with the use of unmanned drones. Yes we are moving to next generation delivery system. The craft are autonomous, per Bezos: an Amazon employee would enter a delivery recipient’s location and away the aircraft would fly. In preview segments, Bezos promised “something he wanted to unveil for the first time,” leading people on Twitter to speculate that it could be an Amazon television. OAmazon doesn’t just want to reinvent the way we shop for and buy things, it wants to upend every step of the process — including how our purchases come to us. Amazon also posted a video on its website showing a drone picking up a package from one of its warehouses and delivering it to the doorstep of a customer’s house. 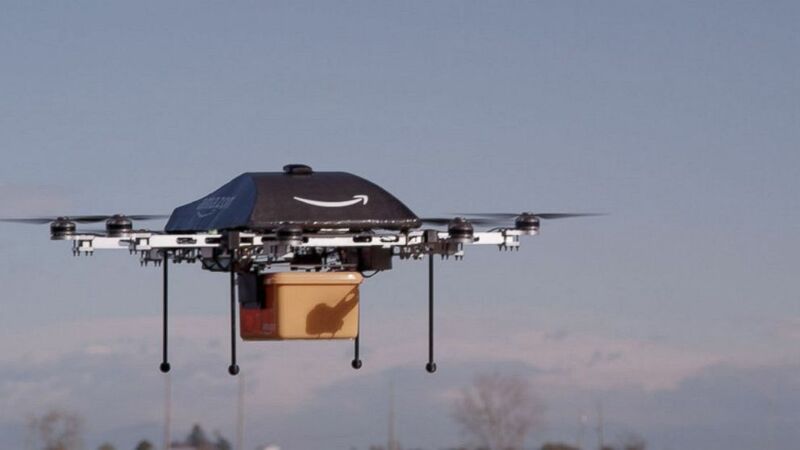 What do you think about the Amazon Drones the next generation delivery system. Let us know about your thoughts through comment section.